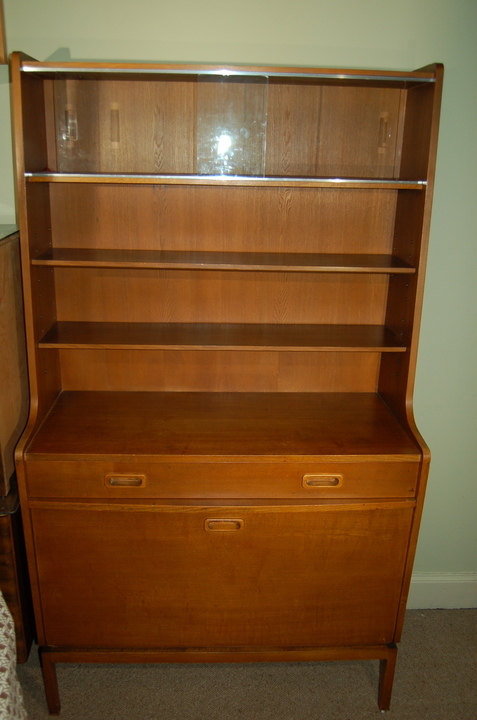 Minty Oxford bookcase - neat size but useful mix of storage. Drop-down cupboard to base with single drawer above, two adjustable open bookshelves and glazed top shelf. Excellent condition.